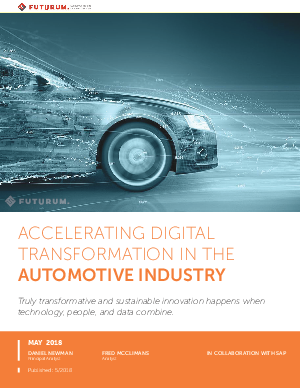 The automotive industry is changing slower than it ever will and faster than it ever has. And customer demands are evolving at speeds never seen before. For companies serious about innovating at scale and transforming their business in order to dominate their market, it will take innovative thinking, disruptive technology and near flawless execution. This challenge, perhaps best described as the perfect blend of art and science, is more than achievable, but only if you have the right partner. Which is why we want you to meet Leonardo, by SAP. SAP Leonardo is a digital innovation system that enables organizations of all sizes to transform at scale with minimal risk and disruption. SAP Leonardo brings new technologies and services together to help businesses power their digital transformation. SAP Leonardo proves that truly transformative and sustainable innovation happens when technology, people, and data are combined.